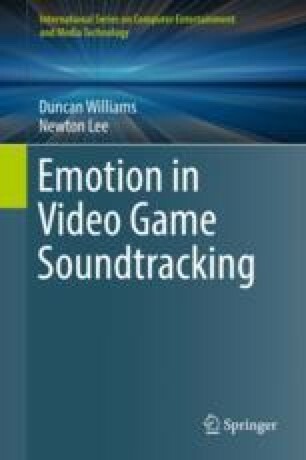 Despite their ubiquity, cutscenes remain a relatively neglected element in videogame studies and especially in ludomusicological studies. This chapter considers the function of cutscenes and the role of music in them. Definitions of, and perspectives on, cutscenes are summarised. Models of immersion are then considered, with an emphasis on the role of cutscenes in enhancing or detracting from the same. Audio-visual synchresis is discussed, with a view to explicating narrative function and emotional affect in cutscenes. The chapter concludes with a provisional evaluation of the challenges posed and the potentials afforded by virtual-reality (VR) gaming, focusing on both the ramifications for cutscenes and also the use of music/audio.